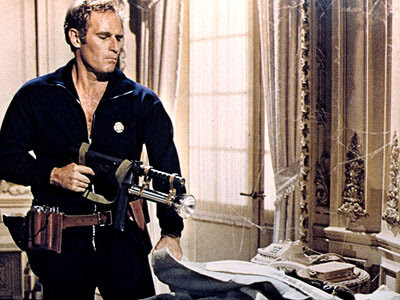 A true American, an actor and the Omega Man of our time, Charlton Heston has passed away today, he was 84 years-old. Heston was elected President of the National Rifle Association in 1998 and served for several two year terms. Heston stepped down when he was diagnosed with Alzheimer’s disease. According to a family spokesman Heston died in his Beverly Hills home. Yes, RIP to a great American, and one of our great actors. He's been a political hero of mine since he stood up to that liberal asner who was sending money to the commies in central America.